In a speech largely saying nothing, Mario Draghi today described how domestic demand, and absence of reforms are risks to growth. 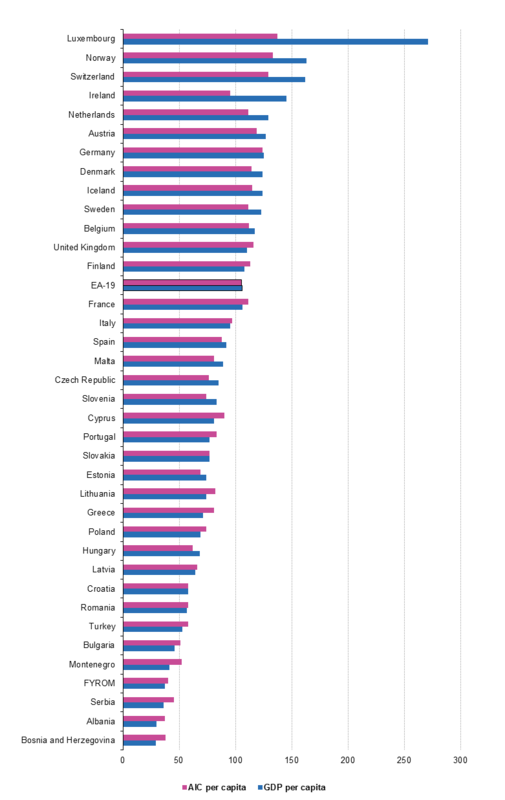 Reforms, of course, could mean anything at all, and they are the Eurocrat catch-all for ‘we don’t know’, but domestic demand is something we can measure, and it’s something the ESRI have worked a lot on recently (.pdf). Your average undergraduate knows about the relationship between employment and domestic demand, and should also be aware that credit conditions matter for the growth of the real economy. 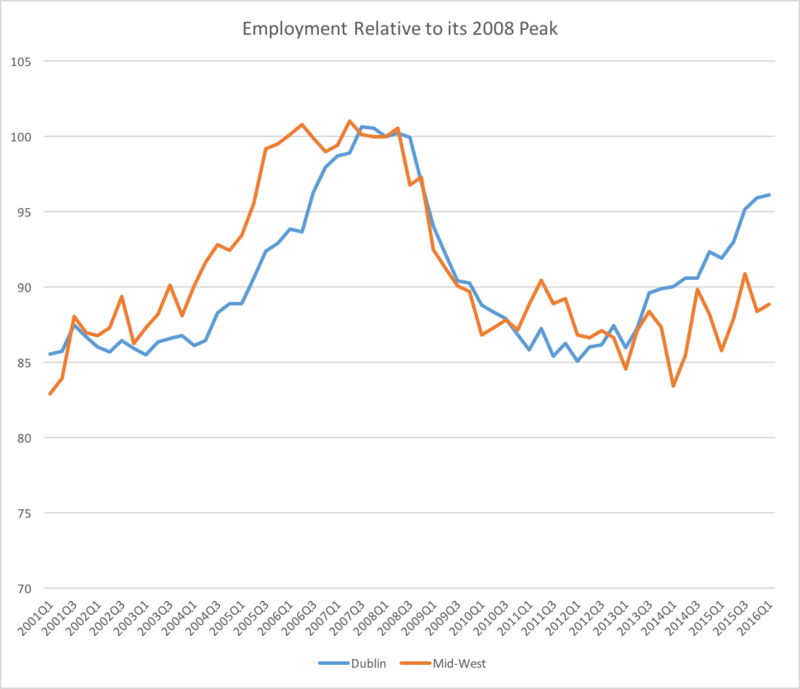 If we look at the Irish economy, in levels indexed to Q1, 2007, the chart below shows total domestic demand and employment on the left hand axis, which I start at 60 to pull out the difference between them a bit, and, measured on the right hand axis, the bar chart shows the flow of credit advanced when you exclude financial intermediation and property. On the last reading domestic demand is about 21% down from Q1, 2007, while employment is about 15% down from the peak in early 2008. The annual change in the employment series from Q42012 to Q42013 is about 3%, while the annual change in demand is almost 0%. Credit advanced meanwhile is, unsurprisingly, negative, relative to Q1 2007, from Q3 2010 onwards.